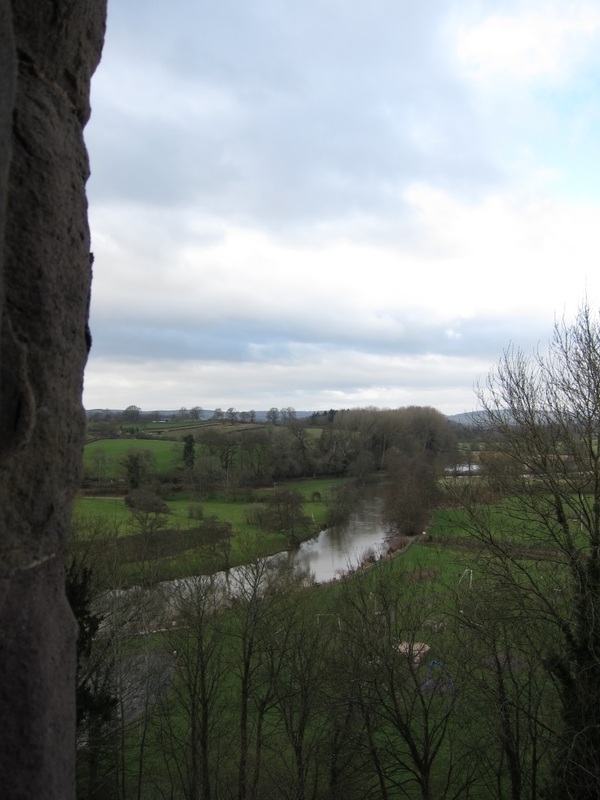 The area around Ludlow is redolent with history – dotted with the mighty strongholds of the de Lacy, Mortimer and Grey families, the countryside echoed to the sound of war for nearly five hundred years. Ludlow itself (originally named Dinham) was granted by William the Conqueror to Walter de Lacy, who built the original keep, as well as numerous other, smaller, fortresses and several religious houses.The town was a planned development, and was laid out carefully in the early 1100s and is first mentioned in 1138. The de Lacys were not just Marcher Lords in the Anglo-Welsh border, but also played a major part in Henry I's attempted subjugation of Ireland. In 1241, the inheritance of Walter de Lacy II passed to his grand-daughter, Maud, and thus to her husband, Geoffrey de Geneville, a relative of Queen Eleanor of Provence and highly favoured by her son, Edward I. The de Genevilles, too, failed in the male line, and Ludlow passed, via Joanna de Geneville to her husband, Roger Mortimer, head of the Marcher family based at nearby Wigmore. Roger Mortimer (1287 – 1330) is famous as the lover of Queen Isabella of France. Mortimer and Isabella overthrew her husband, the weak Edward II, and set up her son, Edward III as king, controlled by them. Mortimer rewarded himself with the title of Earl of March. It was during Mortimer's ascendancy that the Great Hall and other building of the north range were constructed. 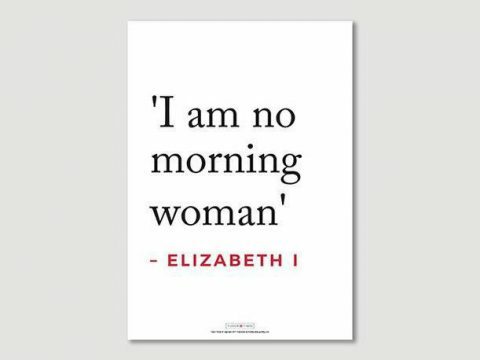 Eventually, Mortimer and Isabella over-reached themselves, and Edward III took command of his country personally. 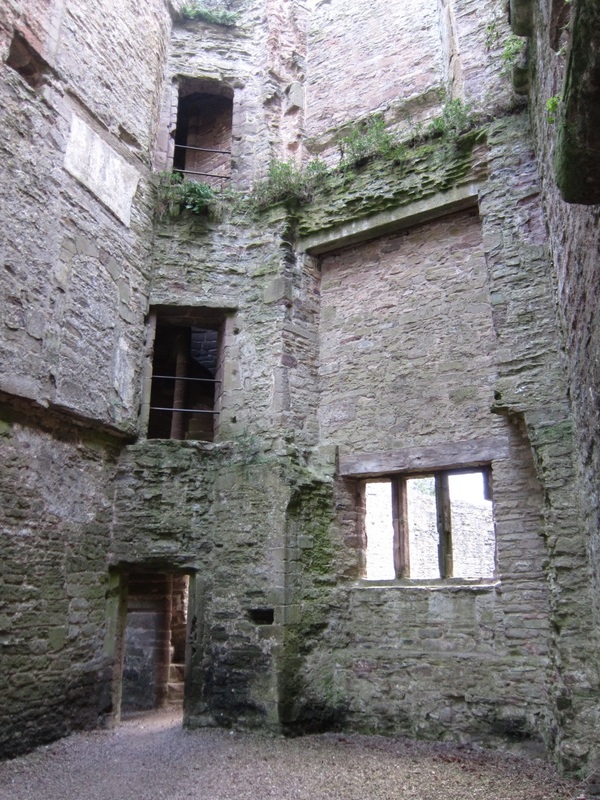 Ludlow and the rest of the de Geneville lands remained in the possession of Joanna de Geneville, until she passed them to her grandson, Roger Mortimer, who was restored as 2 nd Earl of March. The second Earl, who was active under Edward III in France, had a son, Edmund, who was married to Edward III's grand-daughter, Philippa. Philippa, daughter of the Lionel, Duke of Clarence, inherited her mother's Earldom of Ulster. The Mortimers were now one of the richest and most powerful families in England, Wales and Ireland. Edward III was succeeded by his grand-son, Richard II. Richard had no children, and named Roger, the son of Philippa, Countess of March and Ulster, as his heir. However, Roger, 4 th Earl of March died in 1398 before Richard was deposed in favour of his cousin, Henry of Bolingbroke, who ruled as Henry IV, first king of the House of Lancaster. The Mortimers, disgruntled by the loss of the throne, and Henry IV's refusal to ransom one of the family who had been seized by the Welsh leader, Owain Glyndwr, became heavily involved in Glyndwr's uprising, being finally captured by Henry IV after his victory at the Battle of Shrewsbury in 1403. The Mortimer children, including the young heir, Edmund, remained in prison until they were freed by Henry V on his accession in 1413. Edmund was confirmed as 5 th Earl of March, with all his possessions, including Ludlow, and went on to serve Henry V faithfully, even betraying a plot by his sister, Anne's husband, the Earl of Cambridge to place him on the throne. The 5 th Earl had no sons, so his Earldom, including Ludlow, was inherited by the son of Anne Mortimer. This son was Richard, Duke of York, and he resurrected the Mortimer claim to the throne in the bloody dynastic dispute that became known as the Wars of the Roses. Ludlow was the scene of one of the early battles of the Wars. York was using Ludlow Castle as one of his major strongholds, and in 1459, after the Yorkists had won a victory at the Battle of Blore Heath, York marched towards Ludlow to meet with his allies, and advance on Worcester. They were intercepted by the Lancastrians, who, at that time were supported by the majority of the nobles. The two sides drew up facing each other across the River Teme at Ludford Bridge. The Yorkists, led by York, Salisbury, Warwick and York's son, Edward, Earl of March were heavily outnumbered and the situation was made worse when Sir Anthony Trollope, Captain of Calais, who had arrived with York, defected to Henry VI, after being offered a pardon. 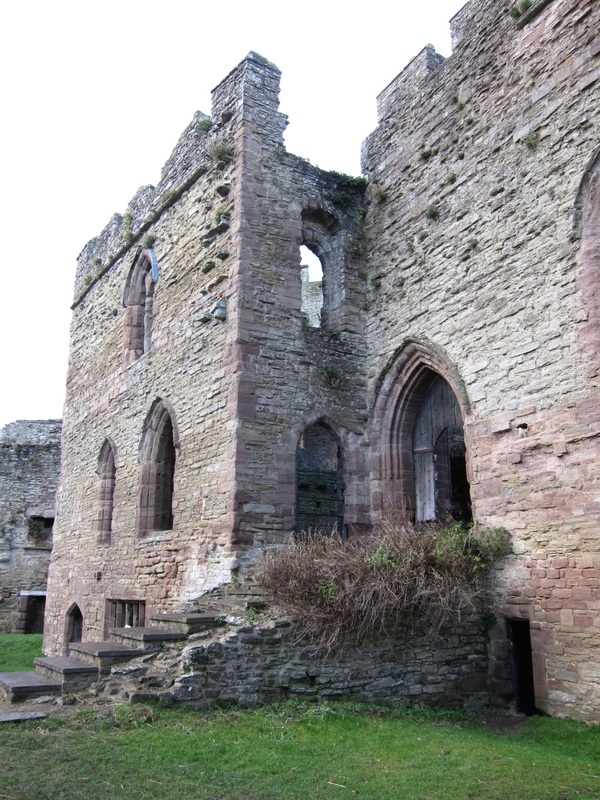 The Yorkist leaders escaped by night, leaving their army to surrender to Queen Margaret.The Duchess of York, Cicely Neville, and her two youngest sons were in Ludlow Castle. The Duchess, leading her two little boys by the hand, surrendered to the King, and was sent into honourable confinement with her Lancastrian sister. In due course, however, the Yorkists returned in triumph under Edward, formerly Earl of March, now Edward IV. He, as the Mortimer heir, had inherited Ludlow personally and the Mortimer lands now merged into the Crown. He granted Borough status to the town, and rebuilt some of the walls of the castle that had fallen into disrepair. Under Edward IV, Ludlow Castle became the base for the Prince's Council, set up in 1473 under the nominal rule of his son, Edward, Prince for Wales. It was from Ludlow that the young Edward, now Edward V marched towards London on the death of his father, expecting to be crowned, but, instead, disappearing into the Tower, never to be seen again. The Prince's Council was revived in the late 1490s under the headship of Arthur, Prince of Wales, son of Henry VII. It was here that Arthur and Katharine of Aragon lived in the winter of 1501-2 until his premature death at the castle in April 1502. The young Prince was guided by his Lord Chamberlain, Sir Richard Pole, and Princess Katharine was served by his wife Lady Margaret Pole, nee Plantagenet, niece of Edward IV. Following Arthur's death, the Council was presided over by officials, until in 1525 a new royal master arrived, although, in this case, it was a royal mistress, in name, if not in fact. Henry VIII sent his daughter, Mary, under the care of the same Lady Margaret, who had served there in 1501. Princess Mary and her Council resided at Ludlow and the surrounding royal castles until 1528. In 1534, the Prince's Council was renamed as the Council in the Marches of Wales and given sweeping powers, under Rowland Lee, Bishop of Coventry. Lee, a notorious bully, boasted that "all the thieves in Wales quake for fear". The Council had widespread administrative and legal powers, in civil, administrative, ecclesiastical and criminal matters and so it continued until 1689. The importance of the Council led to the preservation, and even extension of the castle. A new suite, known as the Judges' Lodgings, was built under Sir Henry Sidney in the 1580s, and further construction continued until the mid-eighteenth century. The Council, which had been suspended in 1641 by Parliament, was recreated in 1660 under Charles II, but was confined to civil and administrative matters. It was finally disbanded under William and Mary in 1689, when all administration was returned to London. One of the last official activities to take place at Ludlow Castle was the raising of a regiment, that subsequently became the Royal Welch Fusiliers. Ludlow Castle was sold by the Crown in 1813 to Edward Clive, 1 st Earl of Powis, (son of Clive of India), whose wife was a distant relative of Henry Herbert, 2nd Earl of Pembroke, and Lord President of the Council in the Marches of Wales under Elizabeth I. The castle is owned by the current Earl of Powis.